Dressed in the green of fertile fields, two women perform the Gandrung dance. 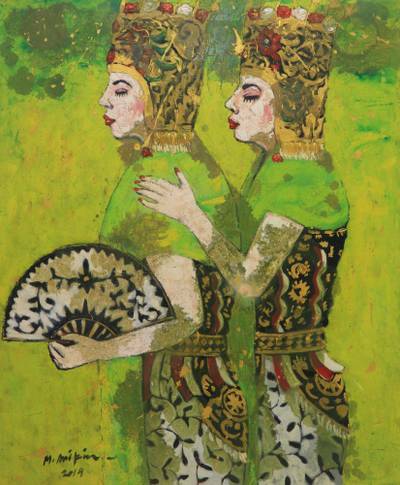 Mohammad Arifin captures their beauty and grace in this portrait in oils. "The meaning of gandrung is 'crazy about'," the artist explains. "The Gandrung dance is an expression of the farmers' joy when they have an abundant harvest. The farmers dance in the rice field with their hearts full of joy."